Several weeks ago, I had the privilege of being an observer at NAATE – The National Academy of Advanced Teacher Education. They use a rigorous curriculum based on the Harvard Business School case method to create whole school change through School Leader and Teacher Leader learning and development. With the case method, the instructor truly acts as a facilitator — asking leading questions to guide the conversation, calling on individuals to ensure that all voices are heard, and enforcing the norm that statements must be supported by evidence from the case. After being handed a folder of case studies and escorted to the first classroom, I pulled out my iPad and prepared to take notes. Opening the folder, a bold line on the welcome letter shouted at me – absolutely no electronic devices. First, I realized that I did not have anything “paper-oriented” in my bag. Next, I formed a dozen arguments for why I should be allowed to use my iPad. Finally, I took a deep breath, politely asked if I could please borrow a pen, and put my phone and iPad away. 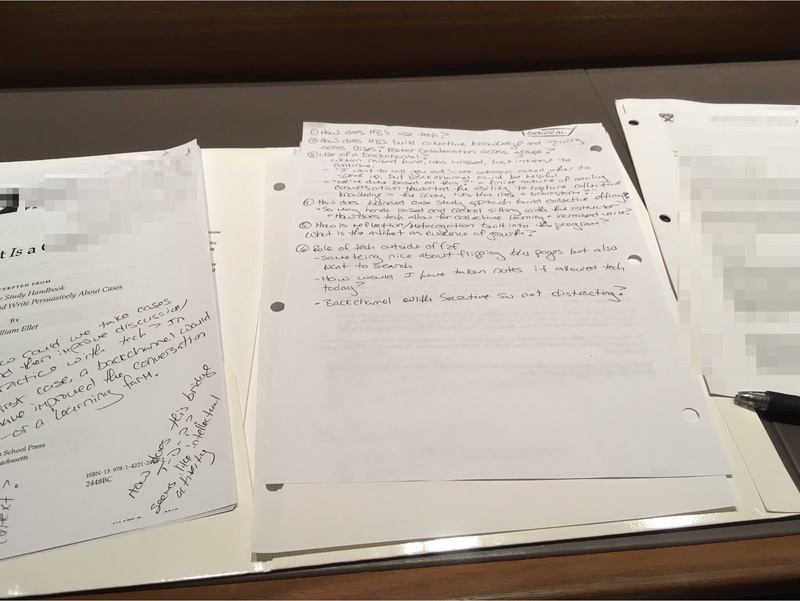 During the first case study, I struggled to find a note taking strategy and furiously scribbled down ways that digital tools would have improved the learning experience. In my determination to inject technology into the environment, I did not recognize that my own cognitive biases were limiting my ability to really see and experience the learning. I projected my past experiences onto a new context even though I had never truly experienced the case method. Instead of embracing the tenets of the program, I looked to find evidence that would confirm my own theories. In an essay linking cognitive bias and design thinking, Liedtka (2014) warns that “innovators seeking to produce and assess more novel, value-creating, and differentiated ideas face significant challenges from different sources of cognitive bias” (p. 931). However, because the design thinking process begins with empathy and requires a deep connection to the end user before actively working to define the problem, it can help to mitigate these cognitive biases in decision makers and innovators. At NAATE, once I put my cognitive biases aside, shifted my focus from “here’s what I would do” to “what would potentially improve the learning experience for the participants,” I changed my mind. As you can see from my notes below (if you can actually read them), after a day of deeply engaging in empathy, my driving question changed from how can we use technology in this classroom to what is the role of technology OUTSIDE of this classroom? Last month, as part of CM Rubin World’s Global Search for Education’s Global Blogger Series, I tackled the question what are the skills, behaviors and attitudes global citizens need? As I considered the implications of the question, I reflected on both my experience at NAATE as well as my dissertation research. For the past year, I have studied the problem of practice that an “education-to-employment gap” exists as our current education system struggles to prepare students for the intellectual demands of a knowledge economy (Gordon, 2014). Since the 1960s, as computers have become cheaper, smaller, and faster, they have replaced many of the routine tasks that people had previously completed, fundamentally changing the task composition of the labor market (Autor, Levy, & Murnane, 2003). However, if we want our students to have the new skills valued by a knowledge economy – to seek out problems, to find novel solutions, to analyze and synthesize information across sources, to communicate and collaborate using the available technologies (Levy & Murnane, 2013) – then we need to not only provide the opportunities for students to engage in new opportunities but also consider their attitudes and behaviors. 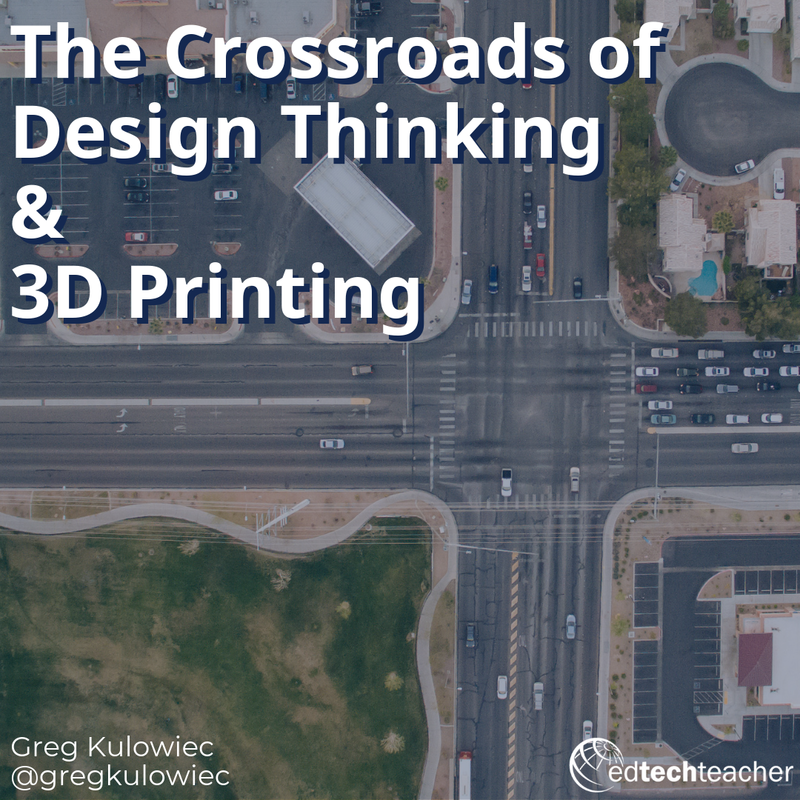 The most important attitude that our students may need to become contributing global citizens is empathy, and this is where Design Thinking enters back into the equation. How can we expect students to seek out problems and design novel solutions if they cannot connect with the individuals whose problems they need them to solve? Our students will need to be able to deeply engage with others and embrace their perspective. And as educators, we need to “give them the initial experiences on which they can then build new knowledge and understanding” says educator Christine Boyer. Finally, as Tony Wagner writes in his book Creating Innovators, we need to instill in our students the behavior of problem seeking. Our students need to be able to act to actually do something in the world around them. In a global society, we need students who have determination, persistence, and the internal motivation to seek out solutions to challenges that we have never seen before, with technologies that have never existed, and in a world that none of us as educators, parents, and adults have ever experienced. Design thinking presents a process to scaffold the acquisition of these skills, attitudes, and behaviors. It also offers a means for all of us as educators, decision makers, and innovators to overcome our own cognitive biases about what learning should look like. Learn more from Beth at our Innovation Summit in Boston! She will be leading a pre-conference workshop on PBL and presenting a number of sessions.